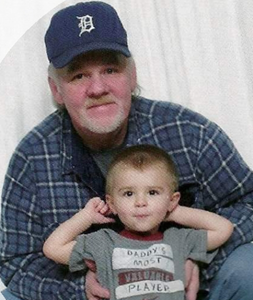 Newcomer Family Obituaries - Robert Joseph 'Casey' Casey 1953 - 2019 - Newcomer Cremations, Funerals & Receptions. Casey, Robert Joseph "Casey" age 65, of Cheviot, Ohio passed away on Wednesday, January 30, 2019. He was born in Berea, Kentucky on October 26, 1953 to James Casey and Lucille Richmond. Casey was preceded in death by his parents, Lucille Richmond and James Casey and sister, Martha June Schmidt. Casey is survived by his beloved wife of 14 years, Sheri Neal; sons, Robert Joseph Casey Jr. and Robert Lee Casey; siblings, Roger Casey, Betty Lou Roark, Anita Kay Powers, Michael Wathen, Clyde Wathen and Wanda Wathen; and a host of other family members and friends. In lieu of flowers donations may be made in benefit of Robert Casey, Jr. at any Fifth Third bank. Visitation will be held from 1:00 pm to 2:30 pm with funeral ceremony to follow at 2:30 pm on Sunday, February 10, 2019 at Newcomer Cremations, Funerals & Receptions - West Side Chapel, 3300 Parkcrest Lane, Cincinnati, Ohio 45211. To share a memory of Robert or leave a special message for his family, please click the Share Memories button above. Add your memories to the guest book of Robert Casey. Sincerest condolences to you all. Continue to love and support each other at this difficult time. Find comfort in prayer (2 Corinthians 1:3, 4). I would like to express my sincere condolences for your family’s loss. Losing a loved one in death is never easy. May the “God of all comfort” be with you, providing the peace of mind and comfort you need, during this difficult time (2 Corinthians 1:3,4). Robert Casey I remember visiting you not long ago at the hospital. You & Sheri had me cracking up laughing. I will miss you! Rest in Peace! I never lost a husband, but I lost a lot of others & yes over time it does get easier, but the pain & memories will always remain. God bless everyone! Sheri. I didn’t know your husband that well but I know he was a good man because you and Casey Jr are the best . I’m so very sorry for your loss . I lost a husband when I was 26 . I loved him with all my heart . Over time it does get better sweetie . I know your pain . I’m here if you need anything . I mean anything and I’m not one of those that just say that . I consider you a good friend and my heart pours out to you and little Casey . Be strong for him . Please call me ... ?????????? Sheri my condolences to both you and Casey Jr.
Casey was an awesome man, husband and father. Our love and prayers go out to the family. Fly with the Angels Casey.